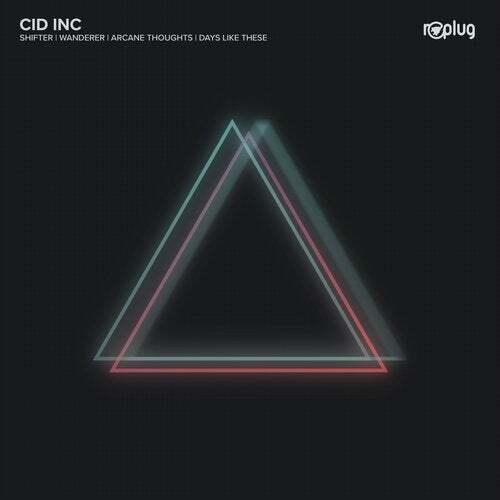 Cid Inc's 2016 'State of Everything' EP marked a welcome return to his critically acclaimed Replug Records imprint. While focusing on material for Guy J's Lost and Found Records and Hernan Cattaneo's Sudbeat Music, it ended what was a two year hiatus from original projects on his home label. Following a nomination as Beatport's best progressive house artist for 2016, the new year began in spectacular fashion with a remix of 'Pan-O-Rama' by Roger Martinez, also coming courtesy of Replug Records. Delightfully driving and devilishly hypnotic the rework sits as the Finnish artist's lone production of the year. As Cid Inc. has continued to travel the globe pushing his progressive minded sound, anticipation has grown for his first original project of 2017. Once again the stars have aligned for a return to Replug as he now presents his latest artist showcase entitled 'Shifter'. While distinctive in both cadence and design the Cid Inc sound is ever-evolving, proving his musical talent knows no boundaries. Played out over four stylistically diverse compositions the collection begins with the peak time opus and title cut 'Shifter'. Electrically charged with thumping kicks and rising rhythmic structures it's energetic intensity swarms over a four minute first act. As the beats fade into the main break buzzing synths and spine tingling pads converge for a minute of unadulterated bliss, before getting washed away into a killer drop. Emotive and cinematic in equal measure, the fluid energy continues with 'Wanderer'. It's delicate framework is inspired, elusive yet charming, mesmerizing with each successive loop as percussive details fill in the storyboard. Melancholic chords rise into the second act as the groove remains locked, before the synth euphoria gets engulfed by a static wave and it's bubbly effervesce carries you home. Taking the journey into more emotive territory 'Arcane Thoughts' entices both the heart and mind. Exceptionally developed groove aesthetics make for a pulsating framework while Cid Inc's musical imagination takes you on an expressive ride. Vivid melodies invite you into this impassioned beauty which eases wonderfully into the EP's closer 'Days Like These'. Four minutes of textural heaven lead this melancholic gem with haunting vocal trails blossoming into a rush of muted beats and organic percussion. Shimmering, joyous and deeply spiritual, Cid Inc has saved something special for the finale, rounding out what is a stunning collection of music. Every Cid Inc project is met with much anticipation and 'Shifter' proves to be his most creative and stylistically diverse EP to date. Highly sought after and just in time for the summer festival season, the much loved artist has perhaps raised the bar yet again.